Noelle Pratchett is immune to charming rakehells like the arrogant duke. He stole her heart, stole her first kiss, and then stole away one night never to return. Now he's back—and so are all the old feelings. Noelle knows he won't stay. But how can she maintain her icy shields when every heated glance melts her to her core? I have read and enjoyed a decent number of books by this author (this makes book number 12), and for the most part I've enjoyed every single one of them. And while I will admit I did enjoy this one as well.... there was just something lacking. 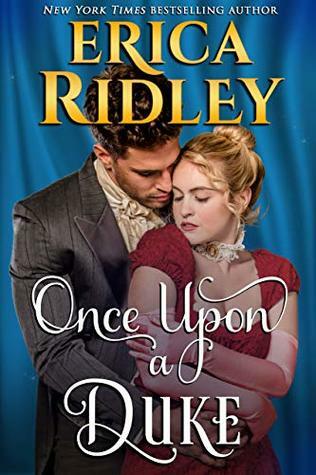 It could be that I've just set my standards too high when it comes to this author, as I'm sure this story will appeal to a lot of historical romance fans. Maybe it's the Grinch in me, but I can't imagine living in the place like "Christmas". I'm sure the village was very picturesque and the villagers more like family without having to resort to that. The fact that the hero abhorred Christmas (the day) means that this story could have been set in the days leading up to (and including) keeping in tune with the "A Christmas Story" theme the author was trying to convey. On the whole I felt there as a "shadow" cast over the story as it was one that was more sad in my opinion than jovial despite the best efforts of the town. I did however enjoy the characters, and as I stated above, I am sure this story will appeal to fans of the genre as well. I would read more from this author (and in fact am in the process of reading book number two in this series as we speak).